The pharmaceutical Merck, through the Merck Family Foundation (MFF), will support the Science for Development program of the Gulbenkian Institute of Science (IGC) with a donation of about 350 thousand euros. This is the largest donation ever from the Merck Family Foundation and will be used to implement a new approach that promotes scientific teaching and life sciences research in the Portuguese Speaking African Countries (PALOP). This amount will support two initiatives related to the creation of scientific kits, “Lab-in-a-Box” and “Lab-in-a-Suitcase”, which will be distributed by secondary schools and universities in African countries. The main objective of these kits is to stimulate the experimental component, both in education and research. 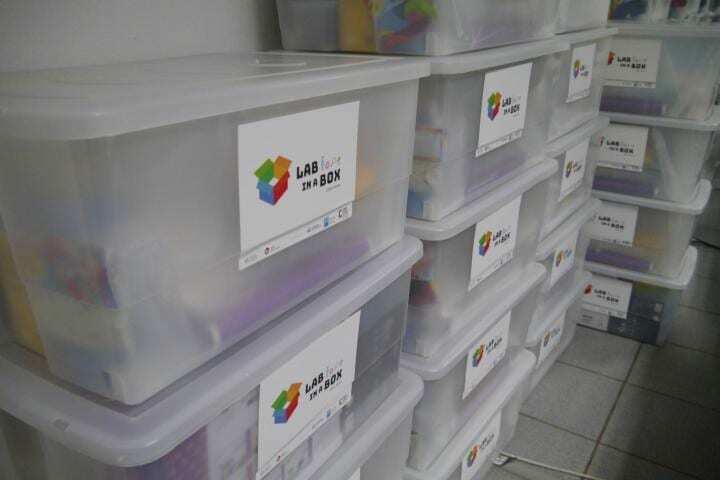 The Lab-in-a-Box kit consists of a box containing the materials needed to make about 60 experiments in the areas of biology, physics and chemistry. It is accompanied by a manual of protocols developed by a group of volunteers from the IGC, the Instituto Superior Técnico – UL, and the Simple Tasks Great Concepts project in India. These protocols will facilitate the implementation of experiments into the classroom, and are aligned with the curriculum of the secondary school. The Lab-in-a-Suitcase kit is a plug and play kit consisting of a low-cost, portable lab that can be customized. Its existence in university laboratories will eliminate the lack of equipment and laboratory infrastructure, enabling advanced experimental teaching and the development of scientific research, especially in life sciences. This is a differentiating project that seeks to foster scientific research and the experimental teaching of science in the PALOP, surpassing the traditional teaching model. The Merck Family Foundation will support most of the operational costs of this program in Africa, including the creation of 5 Lab-in-a-Suitcase prototypes. This support follows a Lab-in-a-Box pilot taking place in Cape Verde, supported by the IGC, the Instituto Camões and UNESCO, and funds from the Municipality of Oeiras, in Portugal, with the overall objective of supporting scientific and technological development. “It is with great pleasure that the Gulbenkian Institute of Science together with the Merck Family Foundation carry out this innovative project with a more practical offer in the training of future scientists and researchers. The Science for Development program is an example of how we seek to provide quality education across borders, in this case to African countries where often lack of infrastructure becomes an obstacle to teaching and research,” says Mónica Bettencourt Dias, Director of IGC. “From the first moment I was introduced to this project I realized how it perfectly fits into the Merck mission. By promoting research, we are responding to our commitment to advance human progress, and for this reason, the Merck Family Foundation is proud to join this commitment to promote and deliver excellence in teaching to students in African countries. We are very proud of this collaboration with the IGC that comes from believing that brilliant ideas are born out of curiosity. The same curiosity that has led us to innovate for 350 years”, says Pedro Moura, Managing Director of Merck Portugal. The cooperation between the Merck Family Foundation and the IGC, now announced, exemplifies how partnerships between the academic world and the business world can be carried out with great success at international level in the promotion of scientific research and education, for the benefit of society.